Home / Shop / Christmas Homewares / Nutcrackers / Emperors Nutcracker 23cm 4 Asst. Emperors Nutcracker 23cm 4 Asst. 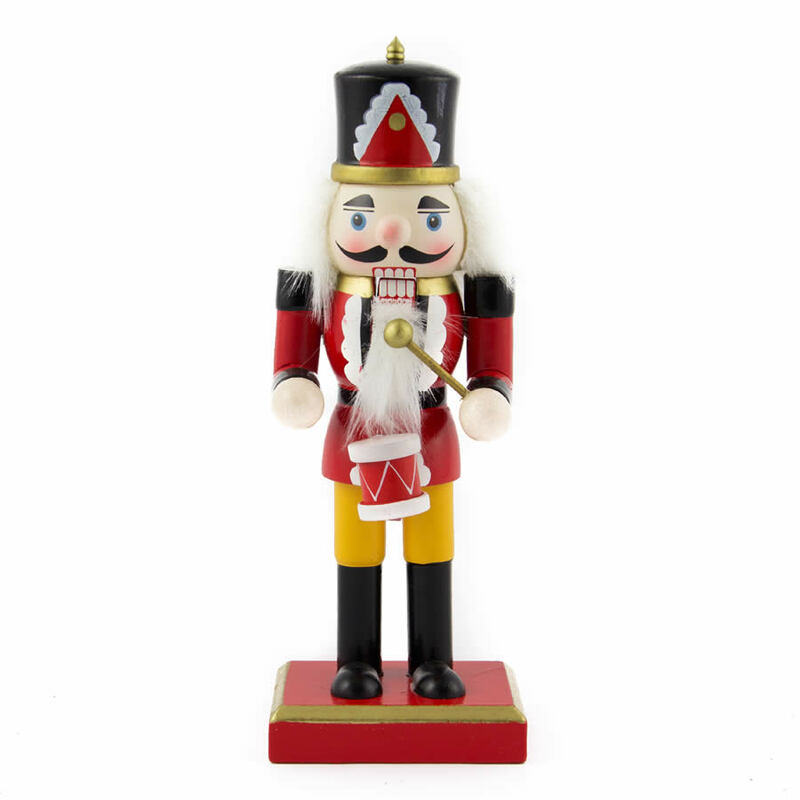 The mighty Emperors Nutcracker is exactly what you need to add to an existing collection or to give a holiday flair to the home. Standing around 23cm in height, and approximately 10cm wide, this fine wooden nutcracker is the epitome of traditional, yet with distinctive contemporary detailing. For instance, check out the fluffy beard on these royal guards. Also, each of the four various styles hold their own variation of a baton. Their colour coordination make them a seamless pairing with all of the traditional holiday accents that you may have displayed around the home or even in your office. Give this majestic gent to someone for a special holiday gift that they will use in their own home, year after year. Choose from four different styles, or keep them all for yourself! These are truly a staple of the holidays and something that no festive home should be without!